The nonlinear vibration characteristics of the piezoelectric circular cylindrical nanoshells resting on a viscoelastic foundation are analyzed. The small scale effect and thermo-electro-mechanical loading are taken into account. Based on the nonlocal elasticity theory and Donnell’s nonlinear shell theory, the nonlinear governing equations and the corresponding boundary conditions are derived by employing Hamilton’s principle. Then, the Galerkin method is used to transform the governing equations into a set of ordinary differential equations, and subsequently, the multiple-scale method is used to obtain an approximate analytical solution. 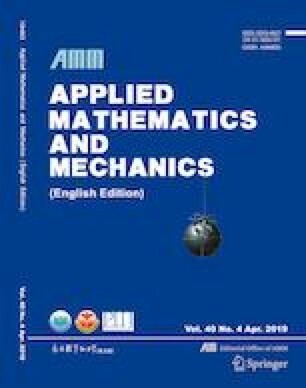 Finally, an extensive parametric study is conducted to examine the effects of the nonlocal parameter, the external electric potential, the temper-ature rise, and the Winkler-Pasternak foundation parameters on the nonlinear vibration characteristics of circular cylindrical piezoelectric nanoshells. 3.Schaefer School of Engineering and ScienceStevens Institute of TechnologyNew JerseyU.S.A.